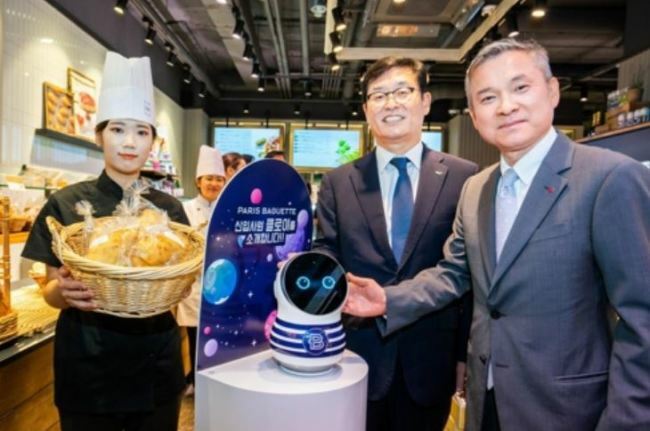 Paris Croissant Co., the operator of South Korea's leading bakery chain, Paris Baguette, said Tuesday that it launched a test operation of robots at its outlets as local retailers accelerate their push for automation. According to the company, seven Paris Baguette outlets in Seoul began the two-month trial run of "smart bakeries" late last month. The robot was developed in collaboration with LG Uplus Corp., the country's No. 3 mobile carrier, according to Paris Croissant.